This "trash" is worth 480 percent more than coffee itself. Although some Americans might revere their first sip of morning joe, there is now something more valuable than the coffee itself that major coffee companies are paying big money to get their hands on. That hot commodity is called cascara — or the fruit that surrounds the coffee bean — which typically gets tossed out. This coffee waste product is creeping up in coffee shops across the country, selling at a 480 percent premium over the cost of coffee according to Bloomberg, thanks in large part to entrepreneur Aida Batlle. Click to see how to cut your Starbucks bill without giving up coffee. Although Batlle hails from five generations of coffee growers, it wasn’t until much later in her adulthood that she found success. For most of her life, she lived in the U.S., escaping the civil war in her home country of El Salvador and carving out a new life for herself. But when she was 28 years old, she returned to her family’s coffee farm with the hope of helping it thrive again, where she brought an innovative way to view coffee. 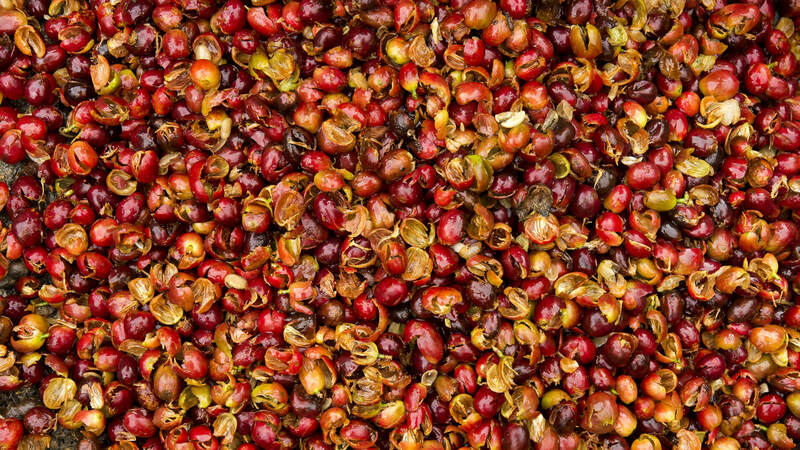 Batlle first noticed the sweet, floral smell of cascara about a decade ago in El Salvador. On a whim, she steeped it in hot water. To her surprise, it was delicious and won customers over. Years later, famous coffee houses have finally come calling. Newly popular Blue Bottle Coffee, along with Starbucks, now serve cascara-laced hot and cold drinks. Blue Bottle Coffee offers a bubbly cascara drink in New York and California, and Starbucks serves a cold brew latte with cascara-enriched foam, among other cascara drink options. So why now? One reason might be that arabica, which represents 70 percent of the world’s coffee production, has an average annual price of $3.35, and the world’s second-most produced bean, robusta, has an average annual price of $2.23. But delicious cascara draws a higher price at $7 per pound, according to Bloomberg. And because of its sweet taste, cascara also works great as a tea drink. For instance, a cascara tea beverage sells for $8 at Maine’s 44 North Coffee. And in some other places, cascara has even been used to flavor beer. Despite cascara’s varied use and expensive price tag, its infusion with coffee might be a welcomed addition to die-hard coffee fans who aren’t afraid to adjust their spending plans to pay for their beloved drink. According to a 2017 Statista survey, 17 percent of Americans spend $16 or more on coffee each week. Yes, coffee is important because caffeine is important. And if you’re worried that this takes away from your normal caffeine intake, fear not. Like the bean it encases, cascara contains caffeine, which might be another reason coffee shops are clamoring for more cascara. Click to find out if skipping your daily latte really saves money. Gabriel is sewing pillowcases to help others.